Pssst refers to the sound of a spraying canister of insecticide. That's one of the tools you must use to stop insects from invading your garden. If you owned a ZX spectrum you probably have played this retro game. 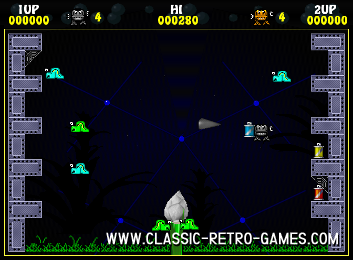 You can once again enjoy it by playing the free windows remake by Crozza.